Let's talk about mashed potatoes. I make them all the time and I'm pretty damn good at it. The only problem is that I don't particularly like eating them all that much, but I make it because others do. I've seen recipes for mashed cauliflower and other root vegetables floating around, though I've never bothered to try any until now. The requirement for this promotion was to make a vegetable dish from the Clare Crespo cookbook, which is a collection of family-friendly vegetable dishes made with Country Crock spread. The recipes are on the whimsical side, and since I have no reason to play with my food I didn't follow those steps. If you like to engage your kids in what they're eating, though, this is the e-book for you. 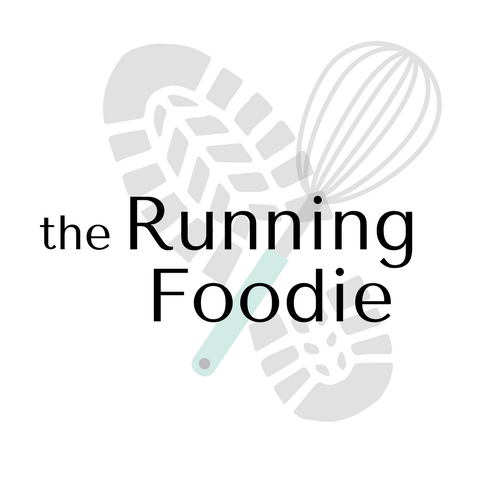 There are a few other recipes from the e-book that I'd like to try, like the zucchini boats. 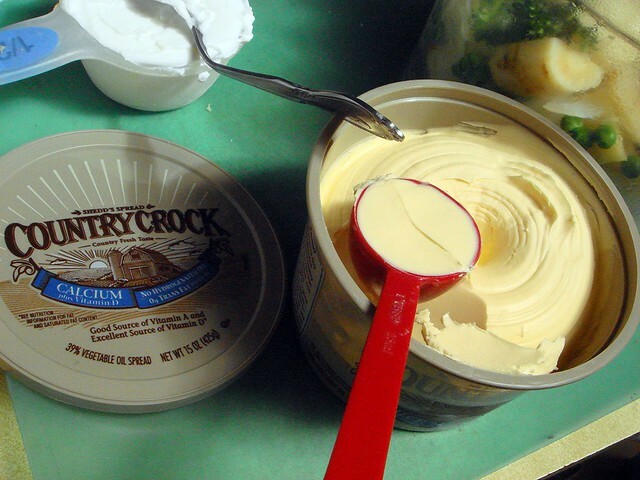 Cooking with Country Crock is a good alternative to butter. The flavor might be a little different, but I've always liked the taste of spreads (I know...) and it works well with vegetables. This spread is free from hydrogenated oils and trans fat and there is a selection of spreads from which to choose, like the calcium+vitamin D spread I am using today. One aspect of this spread that I like is that it's spreadable straight from the fridge. As for the recipe, all you have to do is boil the parsnips with onions until tender, which takes about ten to fifteen minutes. Near the end, stir in some frozen peas. I changed the recipe a little since I don't have to worry about picky eaters. The additions and substitutions I made were to add a little parsley and fresh garlic, and replacing the heavy cream with Greek yogurt. 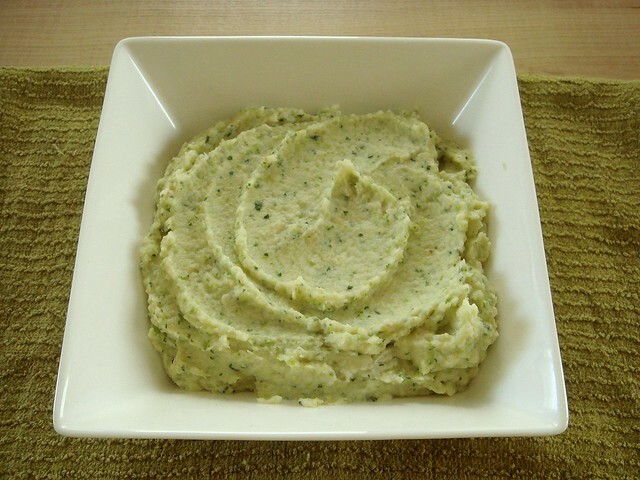 The mixture is pureed until smooth in the food processor along with two tablespoons of Country Crock spread. It comes together quickly and would be perfect for a busy weekend night. However, and this is my personal opinion, I don't think this would make a good recipe for picky kids. The parsnips on their own have a rather sweet taste and might not be suitable for the palate of a small kid. I also felt that this recipe was a little bland, even with the changes I made. I guess more salt would have helped. Roasting parsnips would probably be better if you're introducing parsnips to your children for the first time. 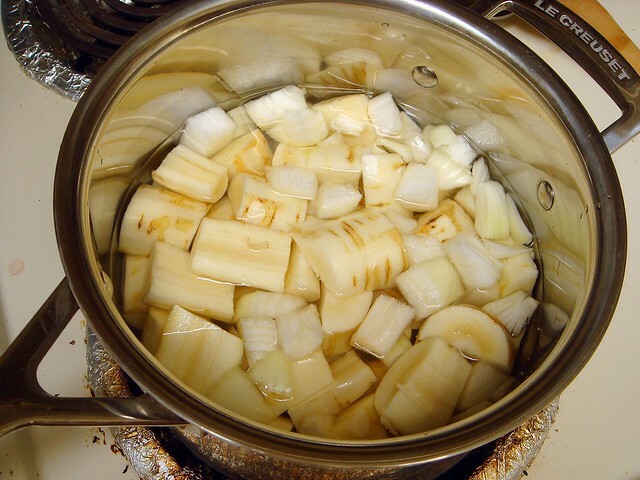 Place parsnips and onion in a medium pot with enough water to just cover the parsnips. Sprinkle with 1/2 teaspoon salt. Bring to a boil; reduce heat to maintain a rolling simmer and cook until parsnips are just tender, 10-15 minutes. Add frozen peas once parsnips are barely tender and cook another 3-5 minutes. 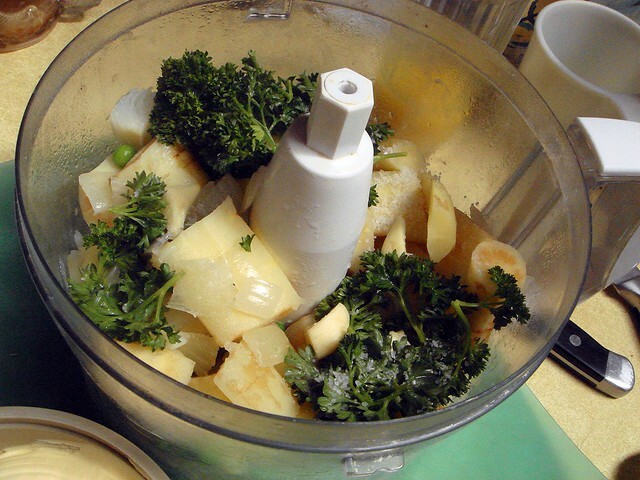 Reserve 1/2 cup liquid; drain the parsnips and place in the bowl of a food processor. Add the remaining ingredients and process until smooth, adding tablespoons of reserved water if needed if the puree is to thick. This reminded me of a woman I saw on Food Network. She had made award-winning crab cakes in several contests. The unusual part is that she has never tasted her crab cakes. She's allergic to seafood! I've made a parsnip, carrot, cauliflower mash in the past. The sweetness of the parsnip and carrot is weird when compared to mashed potatoes, but it's still pretty delicious. Great recipe! Totally want to make this. Hahaha, Jogger. My guess is that she had someone taste test every step of the way. I agree, Rose. I'm used to parsnips either roasted or in soup, and it didn't seem as sweet to me those ways. But it is good.